We are a storytelling species. Recently, I shared an example of the potential for storytelling in our communities using primary source documents. 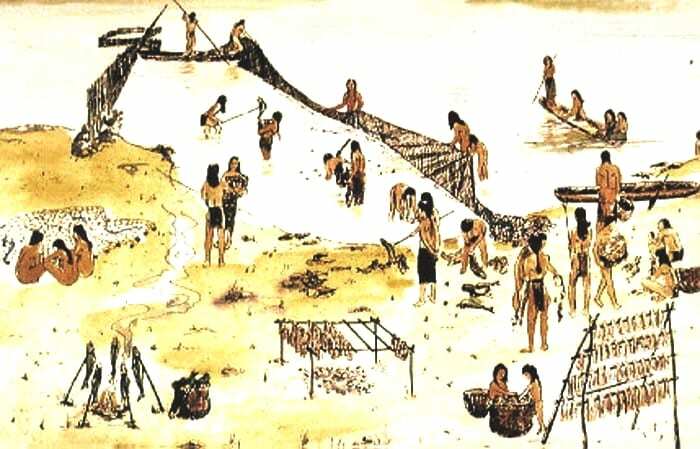 There was a time when Lenape fishermen – or women, since they did much of the fishing in that culture— would use nets woven from branches, saplings or wild hemp to catch huge numbers of shad in the Delaware River. Much of their catch would be preserved by a unique smoking process that would keep them edible through the winter. The Lenape designated March as the month of the shad and celebrated with a festival that often lasted six weeks or more. 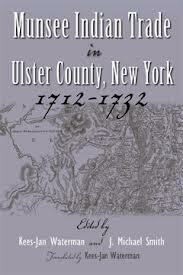 Munsee Indian Trade in Ulster County, New York 1712-1732 (Syracuse Univ Press, 2013), edited by Kees-Jan Waterman and J. Michael Smith offers the full, annotated translation of a recently discovered Dutch account book recording trade with Native Americans in Ulster County, New York, from 1712 to 1732. This year marks the 350th anniversary of the Second Esopus War, which was fought primarily between the Munsee Esopus and the New Netherland colonists in 1663. The image of an “Indian” war most often conjures up scenes of the American West, yet this conflict took place right in the proverbial backyard of the Hudson Valley. 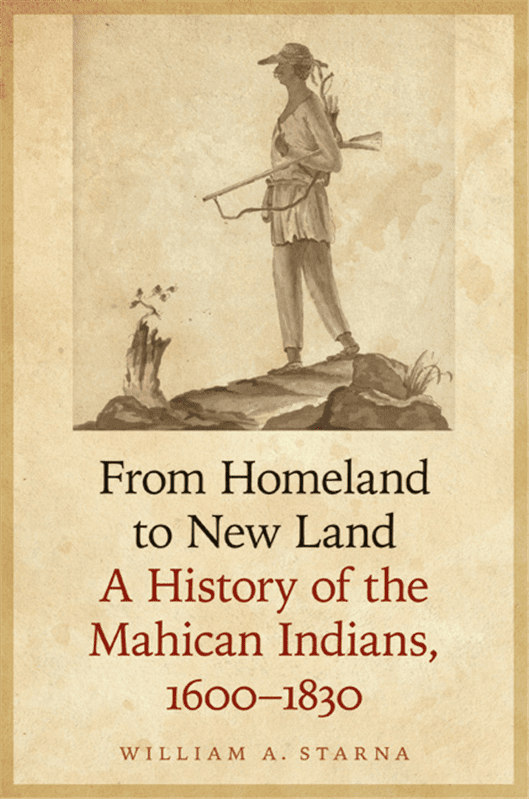 The University of Nebraska Press has published From Homeland to New Land: A History of the Mahican Indians, 1600-1830, by William A. Starna, Professor Emeritus of Anthropology at the State University of New York College at Oneonta. Judith Hartley grew up on the Stockbridge-Munsee/Band of the Mohicans reservation in northern Wisconsin. Her mother was a Mohican who was active in tribal governance—serving for years as the elected tribal treasurer. Judith left the reservation upon high school graduation to attend college. She has a B.S. degree in biology and worked for years in pharmaceutical research. Currently she has obtained an MBA and has worked for the past 22 years for Roche Diagnostics Corporation, a global pharmaceutical and health care company. As retirement approaches, Judith endeavors to give something back to the tribe by way of historical research, poetry and speeches concerning her people. In 1642, surgeon Abraham Staats and his wife Trijntje Jochems emigrated from Amsterdam to Kiliaen van Rensselaer’s vast estate, Rensselaerswijck (now part of Albany and Rensselaer counties). Staats’s job was not simply to treat ailing residents but also to advise the Patroon. He served as a magistrate of the court. Outside of court, he was often called on to resolve disputes between his neighbors. Well respected within Rensselaerswijck, Staats was also something of a diplomat. Entitled to trade in beavers, he learned the Algonquin Indian language and was, therefore, able to act as an intermediary between colonists and Native Americans. The sloop Staats purchased to further his commercial interests placed him in contact with leaders in New Amsterdam (New York City) and allowed him to develop a personal relationship with Peter Stuyvesant. Eric Ruijssenaars studied history at Leiden University graduating in 1988. He has written two books about Brussels and the Brontës (published in 2000 and 2003), is co-founder of Brussels Brontë Group in 2005. He started a bureau for historical research in Dutch Archives, in 2002. In 2011/2012 Eric was chosen Senior Scholar in Residence at the New Netherland Research Center in Albany. 4:00 – 4:15 Closing Remarks and Retreat of the Colors” by Mohican Veterans to conclude the conference. The Indian sale of Manhattan is one of the world’s most cherished legends. Few people know that the Indians who made the fabled sale were Munsees whose ancestral homeland lay between the lower Hudson and upper Delaware river valleys. The story of the Munsee people has long lain unnoticed in broader histories of the Delaware Nation. First Manhattans, a concise distillation of the author’s more comprehensive The Munsee Indians, resurrects the lost history of this forgotten people, from their earliest contacts with Europeans to their final expulsion just before the American Revolution. 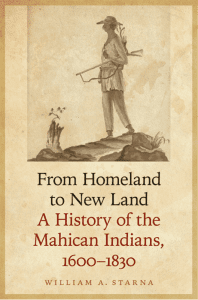 Anthropologist Robert S. Grumet rescues from obscurity Mattano, Tackapousha, Mamanuchqua, and other Munsee sachems whose influence on Dutch and British settlers helped shape the course of early American history in the mid-Atlantic heartland. He looks past the legendary sale of Manhattan to show for the first time how Munsee leaders forestalled land-hungry colonists by selling small tracts whose vaguely worded and bounded titles kept courts busy—and settlers out—for more than 150 years. Ravaged by disease and war, the Munsees finally emigrated to reservations in Wisconsin, Oklahoma, and Ontario, where most of their descendants still live today. This book shows how Indians and settlers struggled, through land deals and other transactions, to reconcile cultural ideals with political realities. It offers a wide audience access to the most authoritative treatment of the Munsee experience—one that restores this people to their place in history. Robert S. Grumet, anthropologist and retired National Park Service archeologist, is a Senior Research Associate with the McNeil Center for Early American Studies at the University of Pennsylvania. His numerous publications include The Lenapes and The Munsee Indians: A History. This Saturday, November 13th, at 7:00 pm, Historic Huguenot Street will host another in its Second Saturday Lecture Series. David M. Oestreicher will combine archaeological and historical evidence with decades of firsthand ethnographic and linguistic research among present-day Lenape traditionalists, to arrive at a full picture of the Lenape from prehistory to the present. The presentation includes a slide program featuring native artifacts, maps, illustrations, and photographs, as well as images of contemporary Lenape who are among the last repositories of their culture. This lecture offers a unique opportunity to learn about lower New York’s original inhabitants, the Lenape — not the romanticized figures of popular mythology or new-age literature, but a living people as they really are. Dr. David M. Oestreicher is recognized as a leading authority on the Lenape (Delaware), our region’s first inhabitants, having conducted linguistic and ethnographic research among the last tribal traditionalists for over 30 years. Oestreicher is curator of the award-winning traveling exhibition, In Search of the Lenape: The Delaware Indians, Past and Present, which critic William Zimmer in the New York Times described as “an extended reverie,” capturing “the vitality and poignancy of the Lenape saga.” Oestreicher’s writings have appeared in leading scholarly journals and books, and he completed the final portion of the late Herbert C. Kraft’s The Lenape-Delaware Indian Heritage: 10,000 B.C. – 2000 A.D. — a tome subsequently hailed by scholars as the seminal work on the Lenape. Oestreicher’s monograph, “The Munsee and Northern Unami Today” in The Archeology and Ethnohistory of the Lower Hudson Valley and Neighboring Regions (1991), marked the first ethnographic account of the Hudson River Lenape (now the Canadian Delaware) since the work of anthropologists M. R. Harrington (1908, 1913, 1921) and Frank G. Speck (1945). The Native American Institute of the Hudson River Valley and The New York State Museum have announced the program for this year’s 10th Mohican/Algonquian Peoples Seminar to be held at the NYS Museum in Albany April 17, 2010. This year’s featured speakers will include keynote speaker Tribal Council President Kimberly M. Vele, Mohican historian Shirley Dunn, Mohican military historian and veteran, JoAnn Schedler, Department of Environmental Conservation wildlife pathologist Ward Stone, noted archaeologists, and more. 9:00 – 9:30 Registration -Clark Auditorium -Please take the escalator or the elevator# 8 to the left of the security desk (behind the front desk) in the main lobby to the lower or Concourse level. Keynote speaker, President Vele’s presentation is “Family Circles”. She will be speak on reflecting on the past and what it means for the present in the context of families. Ms. Vele was elected to serve as President of the Tribal Council in the fall of 2009. Ms. Vele also served as an Associate Judge for the Tribal Court from 1996-2007 at which time she began serving as a Council member for the Tribal Council. She served as General Legal for the Stockbridge-Munsee Tribe in Bowler, Wisconsin for several years before starting a private practice which involved representing numerous Tribes throughout the country. President Kim Vele is a member of the Federal Bar Association; State Bar of Wisconsin; Wisconsin Indian League of Lawyers and was a former member of the Wisconsin Tribal Court Judges Association; former Treasurer for the National Tribal Court Judges Association; and past Chairperson of the Management and Oversight Committee for the National Tribal Justice Resource Center. She is a faculty member at the National Judicial College and has given presentations at numerous Bar Association and Judicial Conferences. In her book, The River Indians: Mohicans Making History. Ms. Dunn stresses the often- overlooked importance of the Mohicans to New York history and pre-history. The new book presents a rare look at historic events in which the Mohicans (called “River Indians”) should get credit. Leaders among the native nations on the Hudson River, Mohicans welcomed explorer Henry Hudson, who visited them for 13 days, longer than he stayed with any other Indian nation. She will explain how Mohicans initiated the upriver fur trade and continued in it for a century. Mohicans were close friends with the Dutch leader Arent Van Curler, and helped save the farms of Rensselaerswyck. There is a surprise here. Did he have a Mohican daughter? 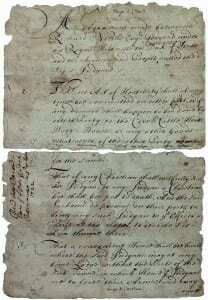 There is new information about the Mohican leader Etowokoaum, who went to England in 1710. We know that Mohicans fought beside English soldiers in wars against Canada from 1690 to 1765, protected Albany from attack from Canada on more than one occasion, and enlisted in the Revolution on the American side at George Washington’s request. (After the Revolution, they were refused soldiers’ grants of their own land.) The land where the State Museum is located was once in Mohican territory. Further, the information is valuable to archaeologists because it identifies Mohican areas taken over by the Mohawks after 1629. So, whose artifacts are being found? These overlapping locations will be explained, as well as the connections of Arent Van Curler’s grandson with the Mohicans. He ran a fur trade in Washington County in the 1700s, and lived to be 106 years old! An explanation of Mohican place names will conclude the talk. Shirley Wiltse Dunn, a holder of Masters’ degrees in English and History, has worked as a teacher, museum interpreter, and historic preservation consultant. A scholar of the Mohicans and early Dutch, she is the author of The Mohicans and Their Land, 1609-1730 (1994), The Mohican World, 1680-1750 (2000) and co-author of Dutch Architecture Near Albany: The Polgreen Photographs (1996), and The Mohicans (2008), a booklet for young readers. (All have been published by Purple Mountain Press.) She also has edited a book of family stories, Pioneer Days in the Catskill High Peaks (Black Dome Press, 1991) and three bulletins, each containing Native American Institute seminar papers, for the New York State Museum. She became interested in the Mohicans two decades ago while studying Indian deeds for early properties in the Albany, New York, area. 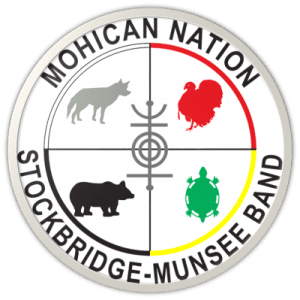 Ms. Schedler will review Mohican/Stockbridge military history and present information on individuals as it relates to their military service in various wars and conflicts from our homelands to Wisconsin. She will share the projects the Mohican Veterans are working on to preserve this history and honor our ancestor’s military service. Ms. Schedler, BSN, MSM, RN, is a life member Reserve Officers Association, Mohican Veteran Officer founding member, 1996-present, American Legion post # 0117, 2004-present, Tribal Historic Preservation committee for Stockbridge-Munsee Community, 2004-present, Constitution committee for the Stockbridge-Munsee Community, 2005-present, Peacemaker, Stockbridge-Munsee Tribal Court 2005- present Nursing Instructor for Associate Degree Program at College of the Menominee Nation 2008/ 2009, Officer in the US Army Nurse Corps Reserves 1984, served over twenty years with the 452 Combat Support Hospital (CSH), retired as a Major from the Army Reserve in July 2004, Sigma Theta Tau International Honor Society of Nurses since 1992, National Alaska Native American Indian Nurses Association # 10179. This presentation will cover from the early 1600’s – mid 1700’s newly discovered Contact Period Mohican sites that have not been documented before in Columbia county. 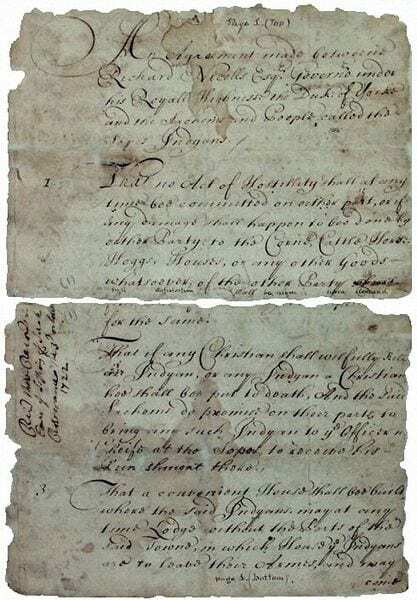 Physical evidence will be shown demonstrating trade and interaction with the early European settlers in the Claverack / Greenport areas of Columbia County. The objective of this presentation is to encourage more research in this area and to demonstrate a larger need to study these waterways. Ted Filli has lived his entire life in the town of Claverack, NY and as a young man was mentored by the well known advocational archaeologist, Ken Mynter, who excavated the with Claverack rock-shelter the results being included in the Recent Contributions of the Hudson Valley Prehistory by Robert Funk. Ted is a former town historian and is still active in Native archaeological research. 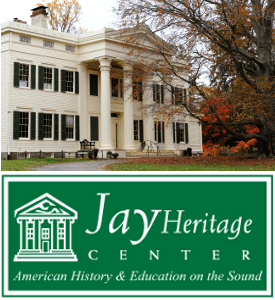 This presentation presents the first rigorous reconstruction of the course of the 17th century path connecting Springfield and Albany which was documented at least as early as the foray into the Berkshires lead by Major John Talcott in August of 1676. Evidence for the reconstruction will include textual accounts (including those related to the Talcott foray and the Knox Expedition of 1775–76), early cartographic records, archaeological site distribution, and topographic features. The reconstruction will add to already existing work on regional transportation networks such as the Mohawk Trail and as such will aid scholars concerned with the broader historical geography of New England and the Mid-Atlantic. It will also be of interest to descendent communities of the indigenous peoples of New England and the Mid-Atlantic as well as to all current residents of the Berkshires and the Capital Region. Matthew Bradley is a graduate student affiliated with the Indiana University Anthropology Department and currently residing in the Berkshires. His interests include the culture history of the Iroquoian peoples, north/south interaction within the Eastern Woodlands culture area, and the history of the discipline of anthropology as it relates to the study of American Indians. This presentation will include original footage from the “Cry of the Earth: The prophecies of the First Nations at the United Nations” in November 1993 as well as, a reading of a portion of Grandfather William Commanda’s statement on The Seven Fires Prophecy Belt. He will also speak about the damage currently being done to the sites that may have been used for millennia, including the Ulster Ridge sites and the lack of any Native American review of such sites. This work is an outgrowth of Grandfather Commanda’s statement of 2008, “Respecting the Sacred in the Land:”Inherent in the prayer of the Indigenous Nations of Turtle Island is the deep knowledge that we are all connected –my people in the east say GINAWAYDAGANUC. The prayer is a celebration of the profound knowledge that we are connected with the each other, as well as with the chief elements–Mother Earth, Water, Air and Fire–the animate and inanimate, the plants and animals and the larger universe, connected energetically. Since 1962 in Ravena, Albany County, New York cement plant operations have impacted thousands of acres of land with plant operations, quarrying of limestone, and pollution. This extensive environmental damage is within several miles of the site where the Mohican council fire was located on Schodack Island in the Hudson River. Much of this Albany County area has received little study by professional archeologist. Valuable artifacts and Mohican cultural material may still be able to be saved. It appears that historic preservation studies have been, at least very limited, on this former Mohican land. The requirements were not in place in 1962 on the cement plant and permits have largely been “grandfathered in”. 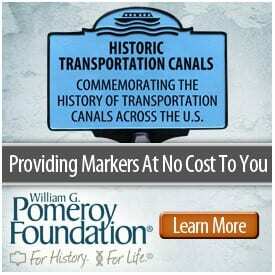 We will present a case for the need of a thorough historic preservation study. Ward B. Stone, B.A., M.S., Sc. D. (Hon. ),Wildlife Pathologist NYS Dept. Environmental Conservation, Wildlife Pathology Unit, Delmar, NY; Adjunct Professor, SUNY Cobleskill; Adjunct Professor, College of Saint Rose. Serpentine images carved into non-portable rock surfaces and on portable artifacts were invested with ideological and cultural significance by American Indian people in the Northeast. These images occur on bedrock outcrops located along the shores of lakes, the banks of river, seaside bays, low hills and mountains. Serpentine images have also been engraved into utilitarian and non-utilitarian artifacts such as tools, ornaments, pebbles, and on small, flat stones. They appear on wood and bark, and as facial tattoos on an 18th century Mohican Indian and on a portrait of a Delaware Indian. These various images are described and an interpretation of their origin, age and meaning is presented. Ed Lenik has thirty-seven years of fieldwork and research experience in northeastern archaeology and anthropology, specializing in rock art research, documentation and preservation. M.A. in Anthropology, New York University; Registered Professional Archaeologist. Proprietor and Principal Investigator of Sheffield Archaeological Consultants, Wayne, NJ Author of these books: Making Pictures in Stone: American Indian Rock Art of the Northeast (University of Alabama Press, 2009) and Picture Rocks, American Indian Rock Art in the Northeast Woodlands. (University Press of New England, 2002) [The first comprehensive study of rock art in the northeast]. The Safe Harbor Petroglyphs, Lancaster County, PA, are one of three major rock art sites on the lower Susquehanna River and the only one that remains accessible in its original location. Information on the general nature of the site with and emphasis on research conducted there in the past ten years will be presented. Paul Nevin: Safe Harbor Petroglyph documentation and research, 1982-present; Board Member, Eastern States Rock Art Research Association (ESRARA); President, Society for Pennsylvania Archaeology, Inc., 2007-2008; Contributing Author, The Rock Art of Eastern North America (University of Alabama Press, 2004); Pennsylvania Historic Preservation Award, 2003, Safe Harbor Petroglyph Recording Project. Representatives from the New York State Historic Preservation Office, the Department of Environmental Conservation and the Army Corps of Engineers will discuss the process of reviewing potential projects within the State of New York. The focus will be on determining whether it is a federal, state, or SEQR project and how the agencies consult with the Native American Tribes. ***Please note! This panel is here to describe their agency’s criteria for determining sites. Questions will not be entertained on specific sites. More enigmatic than they should be in this late age, even among historians of New York, the Munsee are less known than the story for which they are best known – the purchase of Manhattan Island for veritable pittance in 1626. 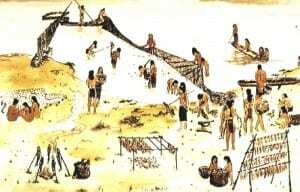 One reason the Munsee (a northern sub-set of sorts of the Lenni Lenape or Delaware, as they were called by Europeans) have been ignored by historians is their rather early refugee status by the 1740s. Anthropologist Robert S. Grumet’s The Munsee Indians: A History attempts to paint a portrait of the Munsee, whose territory stretched form the lower Hudson River Valley to the headwaters of the Delaware, as an Indian Nation in their own right. 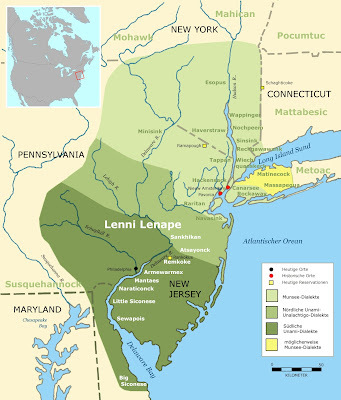 Previous histories, particularly those of the Lenape, have generally ignored the important role of the Munsee. Grumet marshals archeological, anthropological and archival evidence to bring to life the memorial lives of Mattano, Tackapousha, Mamanuchqua, and other Munsee leaders who helped shape the course of American history in the mid-Atlantic before the American Revolution. The Musee emigrated to reservations in Wisconsin, Ontario, and Oklahoma where their descendants live to this day. 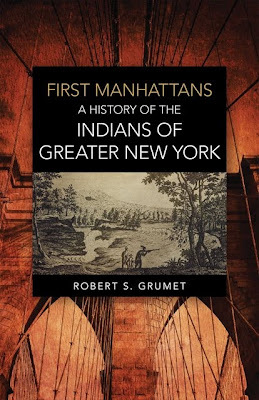 Grumet is the senior research associate at the McNeil Center for Early American Studies, at the University of Pennsylvania and author of Historic Contact: Indian People and Colonists in Today’s Northeastern United States in the Sixteenth Through Eighteenth Centuries. The Munsee Indians: A History is part of the Civilization of the American Indian Series by the University of Oklahoma Press.